New York - An Orthodox resident of Flatbush is just one of nine people named as a recipient of the National Endowment of the Arts National Heritage Fellowships, the United States’ highest honor in folk and traditional arts, presented to honor a lifetime of achievement in the arts. 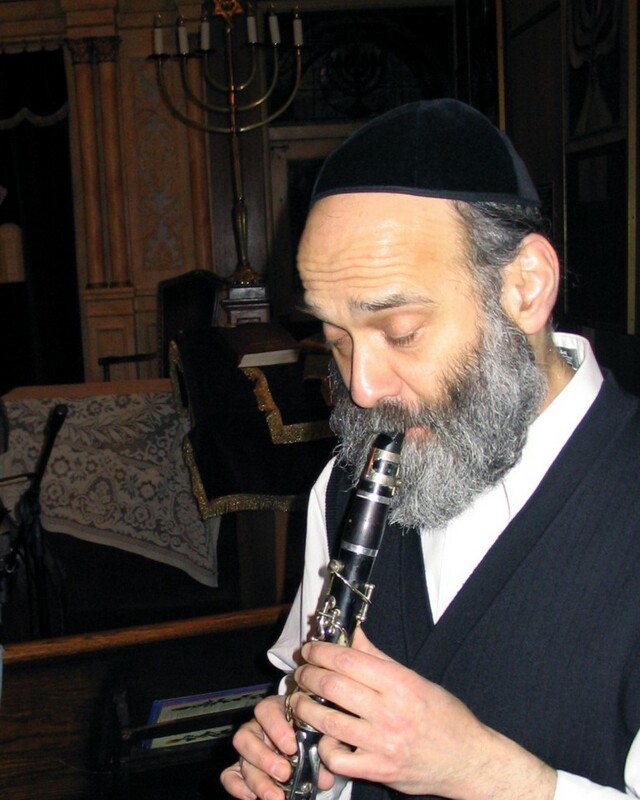 Sixty one year old Brooklyn Musician Andy Statman, who hails from a line of chazanim so long it dates back to the times of the Vilna Gaon, has been playing clarinet and mandolin since his early teens and composes his own music in a wide variety of styles. “A lot of the songs could be considered klezmerish or being in a more chasidic vein, but always with my own take on it and with lots of room for improvisation,” Statman told VIN News. His well known Andy Statman Trio, which was originally formed as a quintet over a decade ago, currently performs as often as twice a week at the Charles Street Synagogue in the West Village, one of the oldest synagogues in New York City, and while Statman did not recall the exact number of performances staged by the group, he estimates it to be approximately 625. A fan of many different musical genres, Statman has over twenty five albums of his own to his credit and has played on over one hundred other albums. Statman has received not only a Grammy nomination for his work but also accolades from sources as diverse as the Jerusalem Post the Chicago Tribune and The New York Times. While seven other Jews have been named NEA National Heritage Fellows, Statman believes that he is the first Orthodox Jew to receive this honor. Statman was informed by the NEA that while the annual awards ceremony has been traditionally held on Friday, this year’s event was moved to Thursday night in order to accommodate him and that there will be kosher food available for him and his family. Statman will be joining the other honorees in Washington DC for the awards ceremony in October and will be receiving a $25,000 cash award from the NEA. Since its creation in 1965 the NEA, an independent federal agency created to fund artistic excellence, creativity and innovation, has awarded approximately $4 billion to its honorees. Among this year’s honorees are several musicians as well as basketmaker Molly Neptune Parker, a husband and wife team of dog sled and snowshoe designers and builders, Paul and Darlene Bergren and master shipbuilder Harold Burnham. Two hundred nominations were received for this year’s National Heritage Fellowships, with recipients nominated by the public and judged by a panel of experts for their continuous artistic contributions to their respective fields. Mazel Tov Mr. Statman. I am so happy for you that you received this award! Hashem should grant you continued hatzlacha in all your endeavors! Reb Andy, I love your music, i have been listening to your recordings for about 28 years, since I'm a young kid and i still love it. i don't thing i will ever get tired listening to you music. wow, this is great! mazel tov. If you knew the pritzus the NEA has funded over the years, you'd be appalled. He should write "POLLARD" across the face of the check and send it back. A truly gifted musician and composer. Who does not appreciate his Flatbush Waltz? And the different genres that he shows his greatness in: klezmer, bluegrass and plain old Jewish wedding music. And such a fine person, not conceited as so many stars are. Andy Statman is a gifted musician and is great example of being a kiddush hashem in a quite and understated fashion. What may be preitzus to you may not be to someone else. Don't put your religious practicess on others. Do you want pork banned? And give it up on Pollard. For reasons that may not be disclosed in our lifetime sorry to say he will not be released. An honor well deserved! Andy is as humble as he is talented! His new record Old Brooklyn is a favorite and cant wait for more to come! Congrads Andy! Mah inyan shmita aytzel har sinai???? Just WHAT is your point? 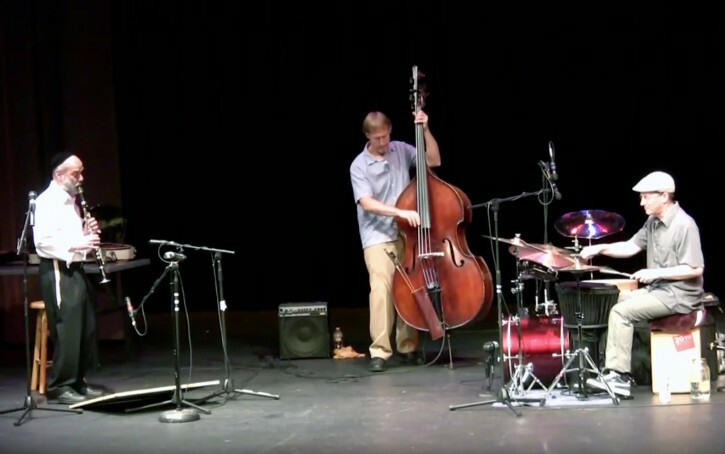 If you think he sounds good, you should hear his son play! Shua you rock!! Is it so hard for you to be happy for a fellow Jew who is having a good day? Do you suffer from such low self esteem that you can't help but put down others to make yourself feel better? How about posting another comment, this time being kind or pleasant, or at least polite. Try it, it won't hurt, really! R' Andy is a close personal friend of the great R' Benzion Shenker Shlita. Together they have inspired many. R' Andy is a true musical genius who uses his unbelievable creativity to bring to us the sound of true jewish music. How I wish people will soon realize this is what jewish music is and how beautiful and inspiring it is. ANDY- You're the best! Mazel Tov! So talented and such excellent music! Who needs Matisyahu? "So talented and such excellent music! Who needs Matisyahu?" Awww.... I hope Matisyahu doesn't see this comment. He's a good guy! There are far worse people in the entertainment industry than he. That's for sure! Mordechai Ben David should also receive such an award. Hi andy a well deserved honor for a very taleted and ehrlicher yid your a great example for the rest of klal yisrael not to let your talents get to your head.